A collection of grand old mansions, elegant churches, lively markets, and charming old squares and plazas make up Aracaju’s historic commercial centre. It’s a great place to stroll around; and the best way to get to know the city. It’s not too big, so if you start intelligently, you can easily cover all the main sights in a single walk. Say you started at the 1860Ponte do Imperador (Emperor Bridge). On the other side of the street, you’ll find the Fausto Cardoso Square, surrounded by the buildings Palácios Olímpio Campos and Fausto Cardoso. The next square over has the 1923 Palácios Inacio Barbosa and the 1862 Metropolitan Cathedral (Catedral Metropolitana). The tourist-trappy street next to it is full of bars, boutiques, a cinema, art galleries and restaurants. Towards the river is the San Salvador church; and beyond the Rua João Pessoa, in the General Valadão plaza, is the Serigy Palace, which used to be a jail. Not far away are several lively handicraft markets. 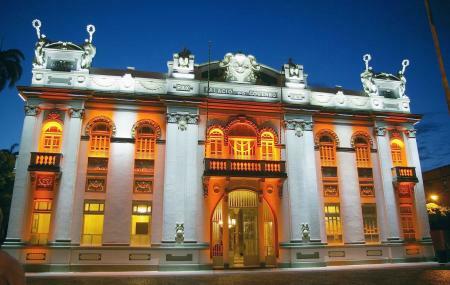 How popular is Centro Historico Aracaju? People normally club together Aracaju Aquarium and Catedral Metropolitana De Aracaju while planning their visit to Centro Historico Aracaju.